We offer a range of portfolio courses and bespoke 1-1 tutorial mentoring - beginners, change of career and the more advanced are welcome. London Art Portfolio can also prepare professional portfolios for top career interviews and applications. 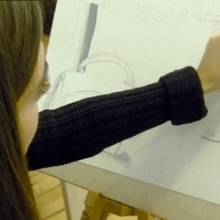 In addition, we also run a diagnostic Foundation Course that explores all areas of art and design, leading up to the selection of your specialist field for UCAS applications. We offer art classes and summer school courses for enthusiasts of all abilities. Art tours and courses to Italy are delivered throughout the year too. Our bright studios are located by Tower Bridge in Central London. Students have access to a communal kitchen-diner, a great way to make new friends. Our students are from all over the world and the UK. LAP is a great way to extend your English art and design vocabulary. For more details, see our international page. Whatever your current level, we have the expertise to extend your knowledge, skills and techniques to support and expand your creative potential, as our recommendations show. We look forward to meeting you. Explore a range of materials, processes and techniques ideal for all levels and areas of art and design. Create a successful portfolio! Tutorials are suitable for complete beginners to advance levels. This flexible personal support helps you build a strong portfolio. LAP can offer student success at top universities. 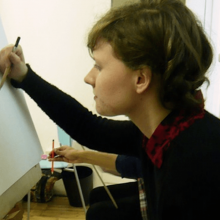 Offering a range of art classes and design workshops in 2D and 3D. Top up specialist skills and creative ideas to enrich your portfolio. 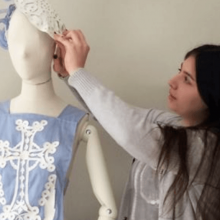 Combine a memorable experience in London with a summer portfolio course in art and design. Meet new creative people from all around the world! LAP helps prepare strong digital applications and offers CAD tutoring sessons to develop your own skills too. You can gain support and advice through the entire application process - Personal Statement, University Choices, References and more! Subjects we cover include fine art, fashion design, textiles, graphic design, photography and 3D and architecture design. 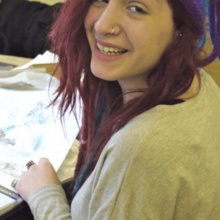 London Art Portfolio welcomes international students. Understand the importance of creating a strong and successfuly portfolio. Learn more about success at LAP from our alumni students.